Distant Healings :: Susan's Professional History? Susan is a multitalented Intuitive Spiritual Healer who is naturally gifted and has many years of intuitive / healing experience. Her innate intuitive abilities emerged in childhood. Psychic and supernatural phenomenon was a norm in the household. This type of exposure, on a regular basis, encouraged a natural development of empathic abilities and sensitivities in Susan. At an early age, she was able to sense energy and perceive the inner experiences of others. She has mediumistic abilities, is a seer and functions as an emotional intuitive. At the age of 21, she had an experience of leaving her body and entering into the light which encouraged her to become a spiritual seeker. In her mid 20's she learned hypnosis and then continued to incorporate other skills such as Polarity Therapy, Reiki, Shamanic practices including: soul retrieval; clearing of spirits; further development of intuitive abilities, remote viewing and long distance healing. Some of her other abilities include: regression work, crystal healing and inner child work. She also can clear the space within physical dwellings directly or over distance. Most of these abilities are used as needed in combination during direct one on one sessions and in the distant healing work. 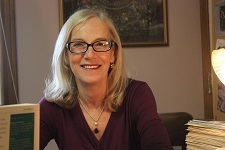 Susan has been working with these modalities in holistic practice for over 29 years. Presently, she is a certified Polarity Therapist, Hypnotherapist, Shamanic Healer, Reiki Master/Teacher, Empathic Therapist, and has a BA from the University of Massachusetts in Boston. My new book, The Missing Link: A spiritual guide for understanding addictive behaviors, is now available in eBook, as well as, in print through Barnes & Noble and Amazon.com. This guide supports the development of emotional intelligence and wholeness through direct mindful participation with addictive behaviors and all possibilities within. Learn how to mindfully recognize and heal the fragmentation that takes place at the foundation of addictive behaviors. As you transition out of black and white thinking and theory, you allow for inner discovery, personal growth and true knowing to take place. Go to Amazon.com, have a peek inside the book. Just search under Susan V. Kippen. Give yourself the option to open up a new path of discovery and change in your life! Susan periodically teaches a variety of workshops including all levels of Reiki, Intro to Polarity Therapy, The Natural Laws and Process for Manifestation, Crystal Healing and others. She taught at the National PSI Symposium convention in Maine for 3 consecutive years and she has also been a guest speaker on several radio talk shows and cable TV shows and is in the process of writing a companion workbook for her book, The Missing Link. Additionally, she is writing an autobiography. Susan has traveled extensively throughout India while facilitating a group trip to many spiritual sites on that continent and in Nepal.